Startseite / / 2019 "EKS -S Flo Yellow"
EKS Brand / 2019 "EKS -S Flo Yellow"
EKS-S is the latest premium EKS Brand goggle in an arsenal of clear-vision off-road protective eyewear. The EKS-S lineup is built with superior materials, style, function, and comfort in mind. 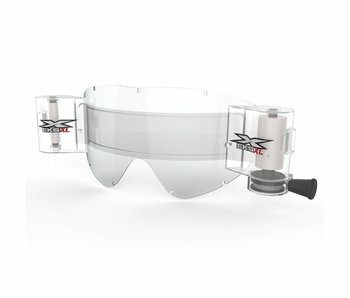 Every EKS-S goggle includes an extra clear lens and a pack of tearoff's. EKS Brand EKS-S XL film rolls 36mm / Menge 8st.